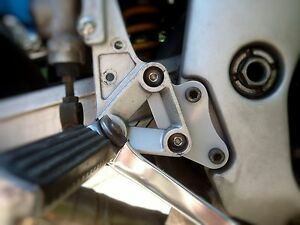 REARSET RISER & LOWERING PLATES SUZUKI GSXR600 GSXR750 2004 2005 LIFE WARRANTY! Details about REARSET RISER & LOWERING PLATES SUZUKI SV650 SV 650 1999 - 2015 LIFE WARRANTY! REARSET RISER & LOWERING PLATES SUZUKI SV650 SV 650 1999 - 2015 LIFE WARRANTY! Will usually ship within same business day if paid before 15:00 EDT (excludes weekends and holidays). Expected ship time may vary and is based on seller's order cut-off time. Immediate payment of C $49.97 is required.